The past days have been full of music news, bad and good. Firstly, the tragic news on Thursday that another icon has left this world way too soon – Prince. 2016 really hasn’t been easy on the celebrity world so far. Prince was an inspiration to so many people especially musicians. If you don’t know a lot about him, go to my Facebook page, I shared some tributes to him on there. Secondly, there’s a new Beyoncé album and that is certainly good news for her fans. Lemonade was premiered on HBO in America on the weekend and is so far only available on Tidal – her husband Jay-Z’s streaming service, but you can watch the hour-long stream here. 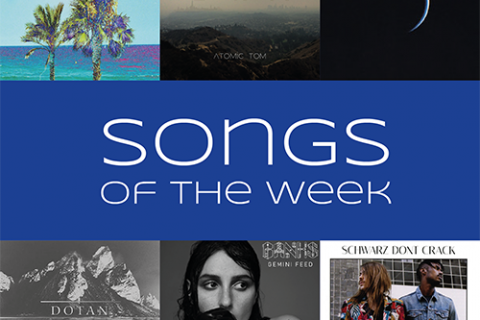 And for those who have already filled their weekend with Beyoncé’s and Prince’s music, here’s my Songs of the Week for even more great music. The first one is by Miss All About That Bass Meghan Trainor and is called NO. This song is so sassy and that’s why I came to love it. I wasn’t fond of it the first time I listened to it, but after hearing it on the radio quite often I started to enjoy it a lot. Another lady who is becoming quite the pop queen at the moment is Tove Lo. After hits like Habits (Stay High), Heroes (We Could Be) and Close the Swedish singer has now teamed up with producer Flume, whose single Never Be Like You featured on the Songs of the Week . The new one is called Say It and it’s bit less catchy than the previous mentioned works of both artists, but it’s a great track. Guess who’s the next one is from? Yes, it’s another production by Kygo. I don’t think I have to make a lot of words about him after I already swooned over collaboration with Kodaline and Labrinth in the past weeks. After Raging and Fragile, I’m in Love is another amazing song and his whole album will certainly be the record of my summer (together with Sigala’s one). I Remember is the newest single release by the British band AlunaGeorge. It’s also featuring Flume, he’s really up and coming right now. The song sounds simple with it’s minimal production and follows the melancholic sound of the electronic duo. Their second album will be out later this spring. From electro pop to indie rock. The Strumbellas are a Canadian six-piece and Shovels & Dirt is the latest single release from their brand new album Hope. It’s a chilled out folk track and a great representative of the full album, hence if you like this song listen to more. The last one is called Schutter and from a German artist I just discovered this morning: Drangsal. It’s my favourite song from his album Harieschaim, that was released last Friday. It’s an homage to the indie rock from the 80’s. The sound of the album is great – it’s energetic, fun to listen to and a mixture of indie rock, pop and some psychedelic elements. I’m happy that I finally found a great German indie artist. 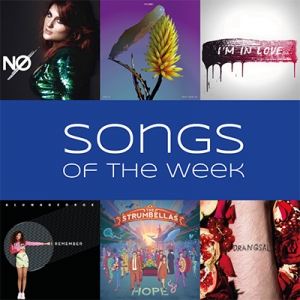 How do you like this week’s songs? I would love to hear from you.